it’s a controversial topic but I was happy. For a number of reasons but for two in particular. Two people who are near and dear to me have served, faithfully, for years. They’ve put themselves in the line of fire, more times than I ever want to know. So Sunday’s news did make me happy. 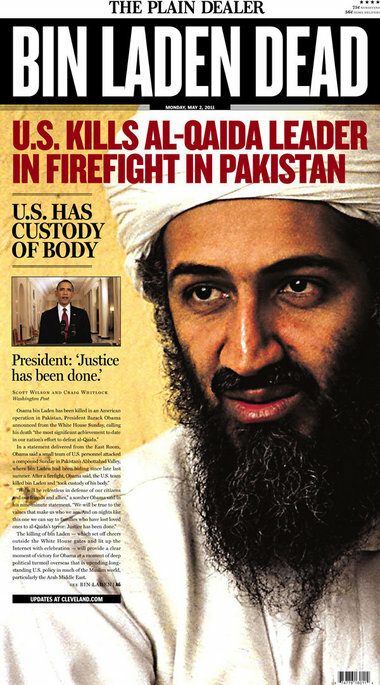 I know it’s just one person, but 9/11 changed our country and it’s a fact that Bin Laden was responsible for that attack. Okay, that’s my political viewpoint for the week. Now on to more exciting things. Like our first place Cleveland Indians. I went to my first game of the year on Saturday and it was fabulous. First of all, awesome seats for a not bad price. Second, another sweep. Third, tons of friends were down at the Stadium. And fourth, it was a 13-inning game! How awesome is that?! 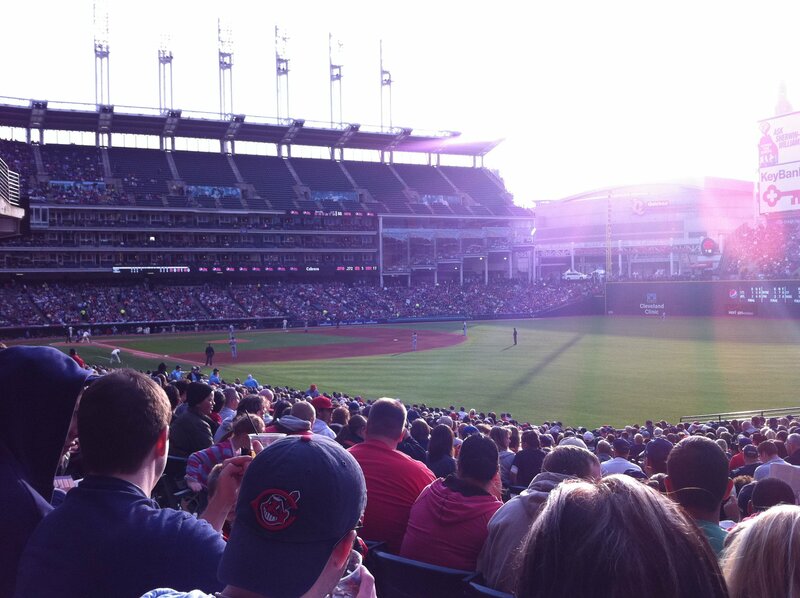 It made me happy to be down at the Jake (I’m sorry it will always be the Jake to me, not Progressive Field). And even more exciting…a wedding! I love a fabulous wedding. And my weekend started bright and early on Friday with a gorgeous, lovely and royal wedding. Yes, I was up early and watched the wedding of Will and Kate…aka the Duke and Duchess. I think my mouth literally dropped when I saw Kate’s dress. Not really my personal style but I LOVED this dress. I’m not a big lace girl, but this dress was absolutely stunning. I was totally blown away by the whole wedding but I loved how obvious it was that Will and Kate are really and truly in love. There were so many moments that I totally swooned over. Such as, Harry seeing his sister-in-law walk down the aisle and whisper to his brother “wait till you see her”, or when Will said “You look beautiful” to Kate…awww!!! So precious. It’s just like a Disney movie. By the way: is anyone watching “The Voice”? I’m adding this to my list of things that I love. This entry was posted in Uncategorized and tagged CLE Indians, Cleveland, Entertainment, Hollywood, Laughter, Loves, Media, News, The CLE, Tunes. Bookmark the permalink. Love that Sugarland song!! I am semi-watching The Voice. I really like the concept behind it.